Hasta la vista, Mucho! Michael Zislis is stepping up his game once again by bringing in two heavy-hitters to reconstruct the old Mucho space in Manhattan Beach. He has already hit home runs with The Strand House, Rock n’ Fish and Rock & Brews with Circa looking like a grand slam. Manhattan Beach has been on the radar with top chefs as of late with the additions of David LeFevre and Neal Fraser both having success at their respected restaurants. Octavio Becerra who made a huge name for himself after opening Palate Food + Wine will be consulting on the new menu at Circa. 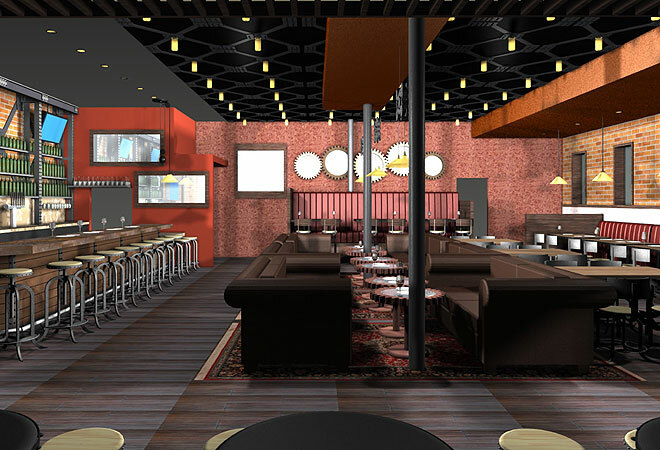 A celebrated chef who has ties with Patina and Lazy Ox Canteen heading to the South Bay to create a shared plate concept that focuses on the vibrant international flavors that hold the Los Angeles dining scene together. Also on board is Julian Cox who has created some of the best cocktail menus throughout Los Angeles. Picca, Sotto and Rivera are just a few of the restaurants on his ever-expanding list. This will be a great opportunity for Julian to showcase his talents for people who rarely travel past the 405. Below, check out ‘The Barbacoa’, an impressive cocktail that Julian created for Rivera. *Ginger syrup: Juiced ginger is the most accurate way to make the syrup, but you can blend ginger if you don’t have a juicer. Add 2 parts water and sugar (50-50) to 1 part ginger juice. Muddle first 6 ingredients. Add tequila, shake and pour into rocks glass. 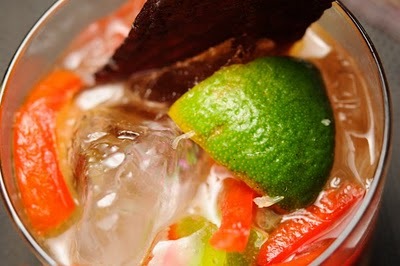 Garnish with additional lime, bell pepper and the beef jerky.